It’s that time of year again. The holidays are behind us, the decorations have been packed up and put away, and it’s time to get back to work. For Matt Hagan, driver of the Mopar® Express Lane Dodge Charger SRT® Hellcat Funny Car, he’s itching to climb back into the cockpit and stomp on the loud pedal. This former NHRA Funny Car world champ is ready to start the 2019 season this week at the NHRA Winternationals in Pomona, California. Although Hagan doesn’t have any personal scores he’s looking to settle, he wants to reclaim the hard-fought world championship titles he won in 2011 and 2014. Last year, he and his team had their share of ups and downs, but the team dug harder and harder and never let up. That’s what makes Hagan and his crew go out and try to put up a good qualifying number on the scoreboard and go rounds during Sunday’s eliminations. Last year, the 36-year-old driver from Christiansburg, Virginia, raced to the winner’s circle three times, including the season-opening NHRA Winternationals. For Matt, the 2018 season had many set-backs and struggles, but he and crew chief Dickie Venables will be careful not to go down that same path. They both know they need to focus on what’s in front of them, get a good jump on the competition and, hopefully, leave Pomona with a win. Matt Hagan trusts his team implicitly every time he climbs into his Funny Car and gets belted in. He knows every crew member has a specific job which is to make sure his racecar is ready to rock with the proper tune-up for that specific run down the drag strip. His guys also make sure Matt is properly strapped in and secured in his harness so he’s ready to ride the wild and unpredictable 11,000-horsepower beast down the track. But before he heads to Pomona, the team will be testing and fine-tuning their machine in preparation for the new race season. “We feel like we are going to come out of testing in Phoenix with some confidence and shaking the car out, I’m feeling good about that,” exclaimed a very optimistic Matt. 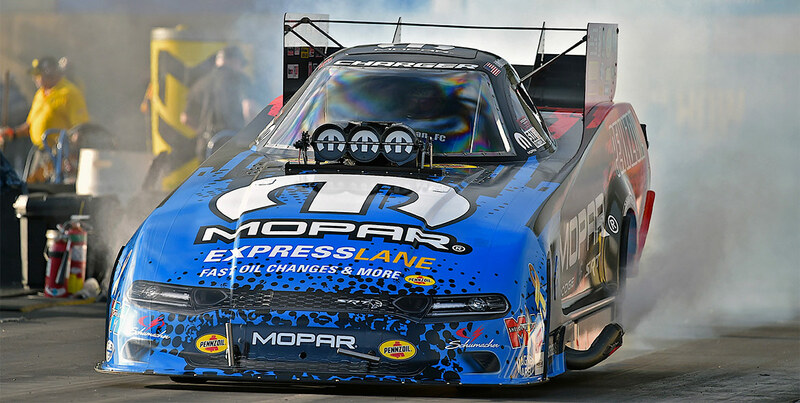 As the Mopar Express Lane pulls into the pits at Auto Club Raceway at Pomona, the team will once again defend their Winternationals title. Matt Hagan and his crew are looking forward to getting back into the groove and do what they do best, make tons of horsepower and get their Charger SRT Hellcat down the track ahead of the person in the other lane. In looking back at last year’s event, Matt was very reflective in what he and the crew had accomplished at the first race of 2018. It was a career high for him and it fueled the team for the whole season. At this year’s Winternationals, it will once again evoke the same feelings for the team and get them in gear for another championship chase. 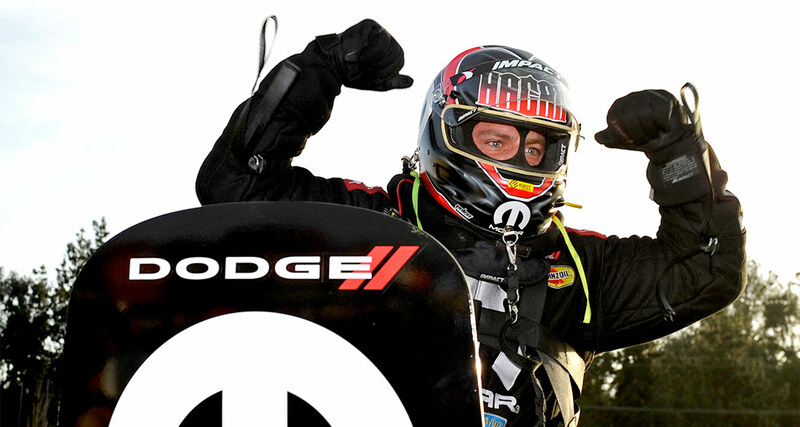 Knowing Matt Hagan, his HEMI® V8 engine-powered vehicle is poised to haul in another Winternationals win.